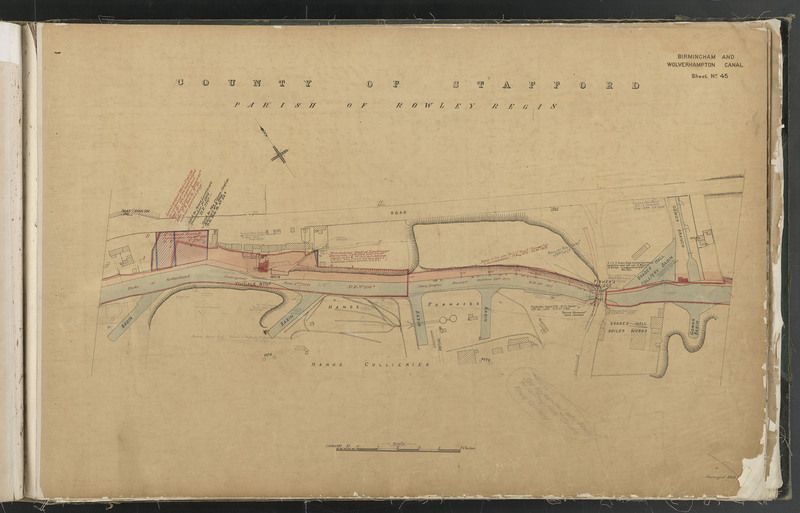 Could you please supply me with a historic deed plan/map of the sections of canal between Fisher’s Bridge/Lower City Road in the direction of Brades Village, and also the section between Brades Bridge and Rounds Green Road on the Birmingham Old Mainline canal. You recently kindly provided me with an extremely thorough response to another question, providing sheet numbered “46”; I am basically requesting the sheets either side of this one continuing along the Old Main Line Canal”. As part of obtaining the jigsaw of the historic route travelled from Trinity Street to Rattlechain by Albright and Wilson’s contractors , these two pieces are part of the puzzle. Sheet 45 Shows The Gower basin and entrance to the Gower Branch, which connects with The Gower Branch sheet . It also shows Brades Hall colliery, the boiler works and the Hange Furnaces and associated basins further on. 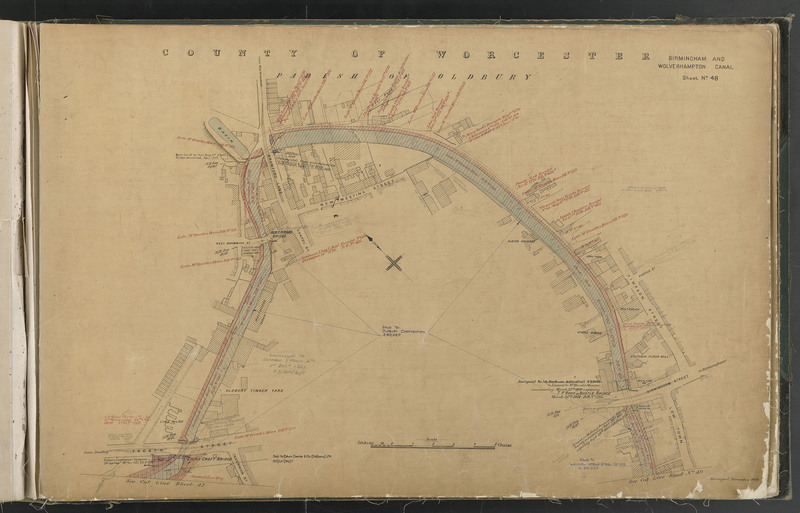 Sheet 47 Continuation of old mainline canal, showing several pieces of land were subsequently bought by Accles and Pollocks. 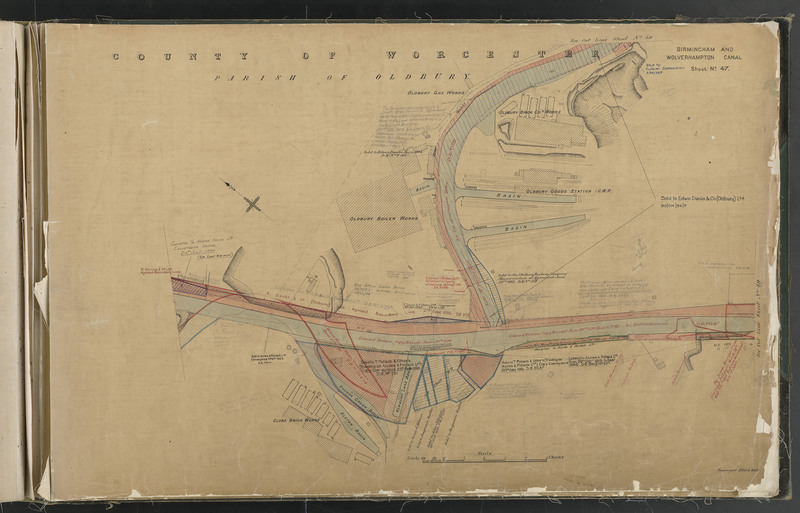 Also showing a part of the Oldbury loop (which connects with sheet 48 ) , and The Oldbury brickworks. Industry was everywhere around this stretch of canal, including long ago infilled canal sections. This heavily contaminated material is likely to have ended up at sites such as Rattlechain lagoon in the form of dredgings- as has been evidenced by letters between British Waterways Board and Albright and Wilson confirming canal pollution.